Home › Credit › What should you do if you’re turned down for a loan? What should you do if you’re turned down for a loan? If you get turned down for a loan the most important thing to remember is this: don’t panic! We’ve all been brought up on endless TV and radio ads warning us of the perils of bad credit when in reality it’s something that a huge proportion of the population have to deal with, and it’s not the end of the world. Often people only find out that they have bad credit when they’re applying for a debt consolidation loan to try and get their finances in order. Is also worth remembering that just because you’ve been turned down for a loan, doesn’t necessarily mean you have bad credit, it just means you’re not the type of client that specific lender is looking to lend to. 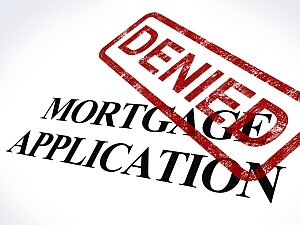 The first thing you need to try and find out is why you were declined for your loan. You can find out what your credit file has to say simply and affordably by applying for a copy of your credit report from one of the two main credit referencing agencies. Most lenders will use either Equifax or Experian to do their credit checks so it’s worth getting your credit file from one or both of them. If your credit file shows that you have bad credit, perhaps a missed payment or two, or even a CCJ, there still may be loan options available to you, so it’s worth seeing what your options may be. One thing you need to be careful not to do is apply with every loan company you see advertised. The reason for this is that each time you make an full application, the new loan company will run a credit search and will leave a footprint on your credit file to say that you have made an application with them. If you make lots of applications in a short period of time, it doesn’t look good to a prospective lender as they will assume that you’ve been turned down everywhere else and may well be inclined to follow suit. If you get your credit file through and it shows that you don’t have any bad credit, the reason you were declined will either be simply falling outside of the lenders application criteria in terms of your personal situation, or because you don’t have enough credit history for the lender. Lenders like to see history of payments being made on time, so if you haven’t had any credit in the last few years, it’s hard for them to gauge whether you’re a safe bet to lend to or not. According to an article in the Telegraph it is also possible to be affected by financial association with your spouse, or former spouse. It’s worth talking to a professional loan company, who may be able to find a lender to fit your specific circumstances. January 14, 2015 What should you do if you’re turned down for a loan?